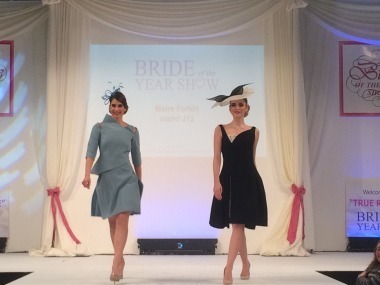 Maire exhibits her contemporary ladies dresses at the January 2016 Wedding of the Year Show at the RDS in Dublin over the weekend. Below Maire arranging the fashion stands ahead of the weekend. The Show was very busy and there was a great atmosphere as always at the RDS Wedding and Honeymoon show.